Australia Counselling has been designed for you to be able to create a counselling profile in minutes and start attracting clients to your private practice. We have a number of unique features on the site, which are explained below. If your question is not answered, please also check out our Counsellor FAQ page. To begin, watch our short overview video on the features of Australia Counselling. You can edit your profile as many times as you want. To edit your profile, you need to log in by clicking the green Log In button at the very top right-hand corner of any page on the directory. Enter your username or email address and password. Once you have logged in, use the menu in the right-hand column to edit your profile. An important aspect of your counselling profile is the copy in your profile. It is essential that you describe your services in a professional and compelling manner to attract the type of clients you want and to have potential clients take action and contact you. You may wish to read our article How to Write a Compelling Counselling Listing to learn what is required to write an effective profile. A unique feature of your Australia Counselling profile is that you can add substantial copy to write about your services and what you offer. We encourage you to take the time to write compelling copy that explicitly states who you work with, how you work and what makes you different from other counsellors. Don’t forget to include a call-to-action and tell the visitor what action you want them to take at the end of your copy. Having a professional head shot can make an enormous difference to the number of people that contact you through your profile. Research shows that potential clients will be more likely to contact you if you have an attractive, professional photo that conveys your warmth and personality. If you’re based in Sydney, we recommend Craig George of Corporate Image Sydney who offers a mobile photography service where he comes to your home or office to take your headshots. Ask him about the special discount for Australia Counselling members. Contact Craig on 0408 952 097 for more information. An important feature of Australia Counselling is that all counsellors listed are registered with a professional body. It is a given that by listing on the site you are currently registered and are meeting all the requirements to maintain registration within each year. We ask that you are currently registered with an Australian professional body, such as ACA, APS, PACFA, AASW or a state-based organisation. It’s important that the designation you have is recognised by your professional body as being deemed to be able to offer counselling services and that you adhere to their code of ethics, procedures and policies. If for any reason you are deregistered, it’s important that you remove your listing from Australia Counselling immediately. We perform random checks to ensure that all counsellors in the directory are registered and will actively remove any profiles of people who are not current in their membership. We offer you the ability to embed a YouTube video of you speaking about your services. The video does not need to be professionally done and can be filmed easily using the built-in camera in your phone or laptop. We recommend that the video be under 2 minutes in length and that the sound is of good quality. Paste this URL in the video box in your profile. Australia Counselling has created an exciting partnership with the online appointment scheduler Timely. Research shows that therapists who offer online bookings can increase their business by 30% and a study by Deloitte Health showed that 70% of patients want to be able to make appointments online. Online scheduling is more convenient for patients and can save you a considerable amount of time. Timely’s appointment scheduling software is specifically designed to meet the needs of mental health professionals. The secure, web-based calendar is ideal for scheduling one-on-one appointments with clients. It’s quick and easy to setup a series of therapy sessions that recur every 1-12 weeks, and moving or cancelling one session doesn’t disrupt your regular schedule. Timely respects the confidential nature of therapy and patient privacy. Client info is encrypted and can’t be seen by the public. Timely has an appointment scheduler that you can add to your website and your profile on Australia Counselling. If you give clients the ability to make appointments online, they can see openings but not the full details of your schedule. You can choose to limit online scheduling to initial consultations or restrict it to existing clients only. The mobile version of Timely enables you to view and manage your schedule on an iPhone or Android. To use this feature, sign up for a free trial with Timely and you can have a Book Online Now button appear on your profile. Timely remains free until you have received 10 online bookings, so you don’t pay for the service until the system is working for you. Visit our blog 5 Timely Video Tutorials: Online Appointment Bookings to watch 5 ‘how to’ videos on how to set up Timely and start to take client bookings. When a client decides they want to choose you for their counsellor, they just click on the Book Online Now button on your profile. The client is taken through a 3-step process where they choose the service, date and enter their details. You receive an appointment request with the client’s details. If you decide to proceed, you confirm the booking in your Timely dashboard. The system automatically generates a confirmation email to you and the client. Email reminders are automatically sent to the client, at the interval you choose, so your no-shows become a thing of the past. Timely also has many other features such as multiple location and/or practitioners, the ability to set office hours and holiday dates, the ability to take PayPal payments when making a booking and an easy calendar interface, where you see all your bookings by day or by month. This is an Australian first- no other counsellor directory in Australia offers this feature. What’s more, once you sign up with Timely, you can place Book Online Now buttons on your website and as many other online locations as you choose. Your clients can also book with absolute peace of mind. Timely offers the highest level of Internet security with encrypted SSL technology to ensure 100% confidentiality of your clients’ personal details. *We recommend that you always speak to clients before confirming any online booking as you can screen to make sure you are the right counsellor for that client, as well as lower the risk of no-shows. 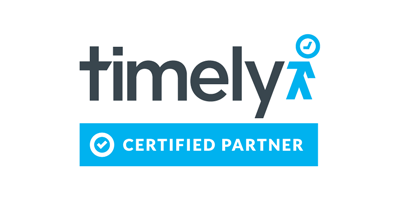 Start your free trial with Timely by clicking here. Once you have signed up, click in the Timely dashboard on Web and then click on Buttons. After choosing the colour of your button, copy the code from this page and paste it into your Australia Counselling profile via the edit profile function. The button will then display on your Australia Counselling profile as shown below. Anytime you want to remove your button from your profile, just delete the code from your profile via the edit profile function. Sign up today and the first 10 appointments are free, so you can test the system and see if it’s right for you and your business. Please note, once you have signed up with Timely, please email us and let us know, so we can confirm your subscription and test the button is working on your profile. Search results- the number of times you have displayed in a search. Profile Page Views- the number of times your profile has been individually clicked on and viewed. Website Click Throughs– the number of times a visitor has clicked through to your website. Emails Sent- the number of emails sent to you. All statistics are displayed as last 30 days and year-to-date. If your statistics are low, you may consider changing your photo and/or copy of your profile. A professional photo can significantly impact the number of clicks you receive on your profile. When a client sends you an email through the contact form or makes an online booking, we encourage you to always respond as soon as possible and within 24 hours at the latest. For many people, making their first appointment with a counsellor can be an anxious experience. Speaking with the client helps the person start to feel hopeful, and responding promptly to messages shows that you are professional and caring. This gets you off to a strong start and instills confidence in the client. At Australia Counselling, we also tell potential clients that a counsellor will respond within 24 hours, so please help us maintain the professional image of this directory, as well as your business. If you have the Professional or Premium package, you may submit up to PD events which we will promote for you on our website and on our social media accounts. Your listing needs to be under 350 words and may submit one link, one email address and an image to appear with your listing. Please submit the details, including a brief description by filling out this form. Your listing may appear for up to 2 months before the event. We will also promote your event on our Twitter, LinkedIn, Pinterest and Facebook pages. As an Australia Counselling member, you can receive a 10% discount to all professional development trainings, workshops, and seminars hosted by our partner, PDP Seminars. To get your discount, please contact PDP Seminars to get your special discount link. You will need to mention your Australia Counselling URL so they can verify you are a current member. If you are on the Professional or Premium package and would like to increase your exposure on the site, you may submit articles that will be promoted on the site with a direct link back to your profile. This is a great way to increase your presence on the site and establish yourself as an expert in your preferred niche or area of expertise. Read our article writing guidelines to understand the submission requirements. You can send your articles to us at this email address. We have a large resource library of audios and videos, which can be accessed via a number of different ways. Watch the video below to see how you can listen to The Australia Counselling Podcast and other audios available on this site. If you’re not already a member of Australia Counselling, you’re missing out on letting us promote your practice and teach you how to attract new clients. Click here to read about the benefits of membership.